The Taj Mahal standing tall in all its glory. The Persian poems and lotus motifs engraved on the walls. 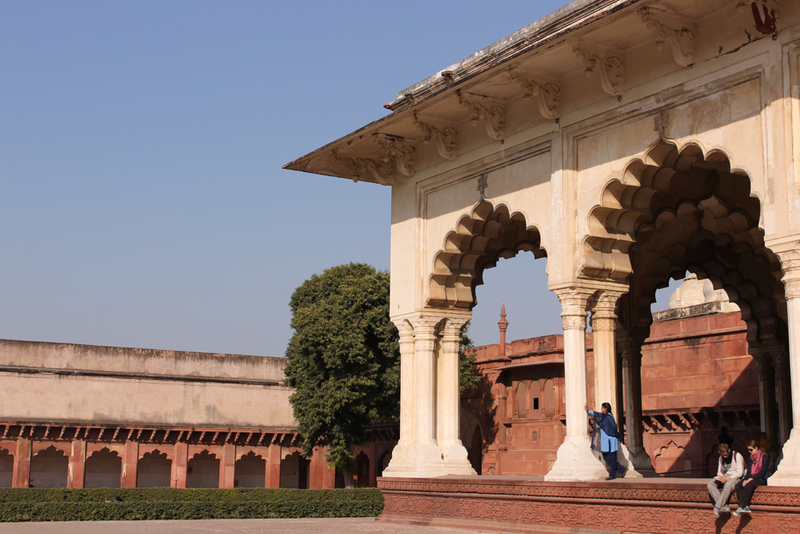 Main entrance to the Taj Mahal. 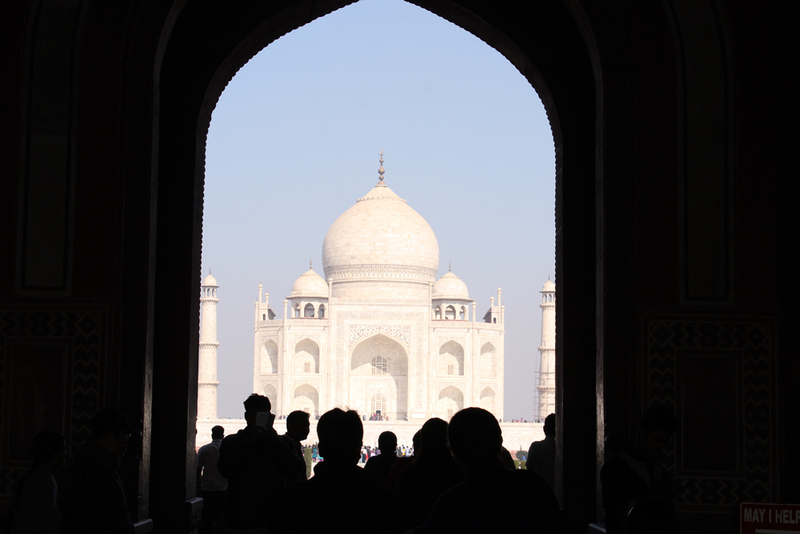 The silhouettes of people looking at the Taj Mahal from the main entrance. Marble carvings on the base. 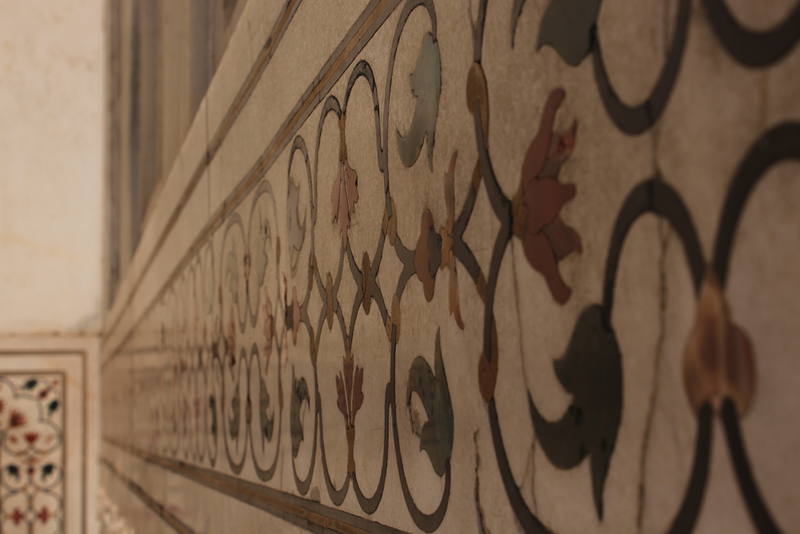 Lotus motifs on the walls. 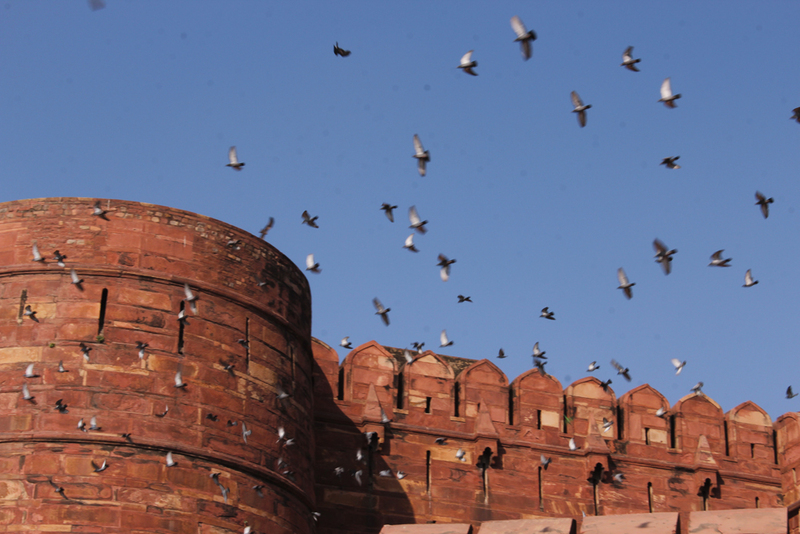 View of the complex from the outside with pigeons taking a flight. People relaxing in the complex. On the banks of river Yamuna, a timeless example of true love, a grand example of the beautiful Mughal architecture, Taj Mahal stands tall under the sky in its timeless glory and beauty. 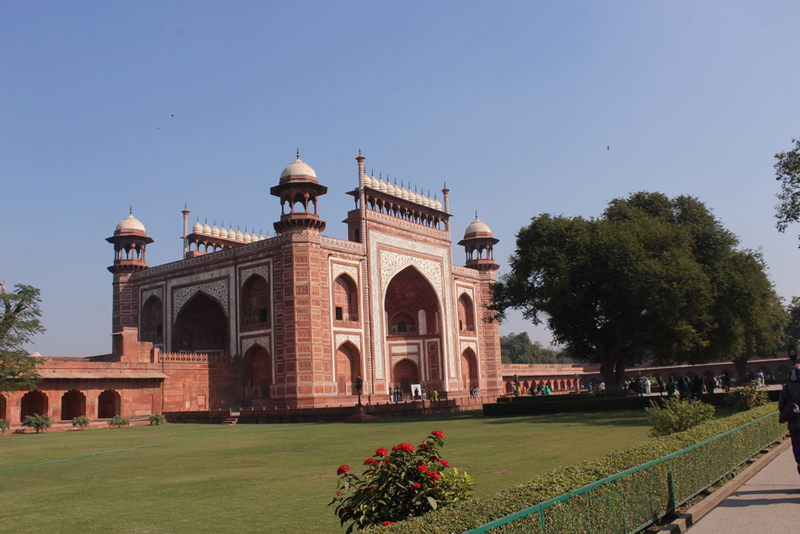 It was commissioned by Mughal emperor Shah Jahan in the memory of his beloved wife in the year 1632 and was continuously built till 1653. 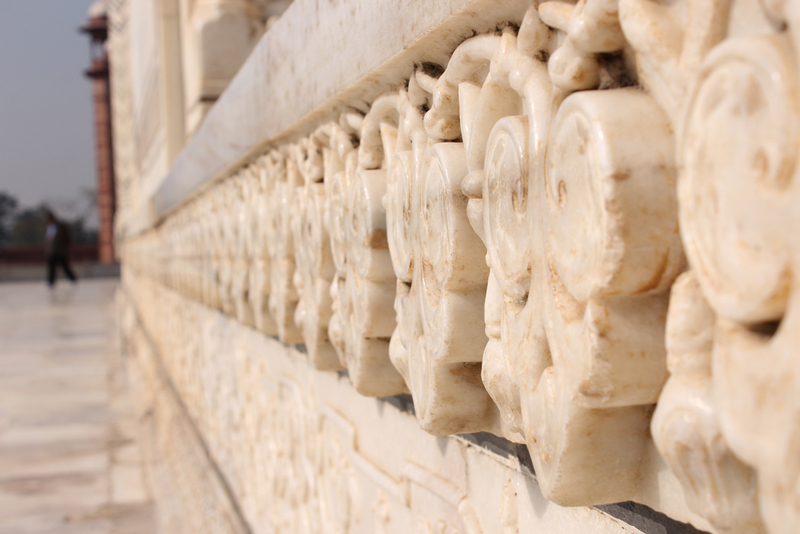 It was made of white marble and many verities of precious and semi-precious stones. There is huge garden at the entrance. 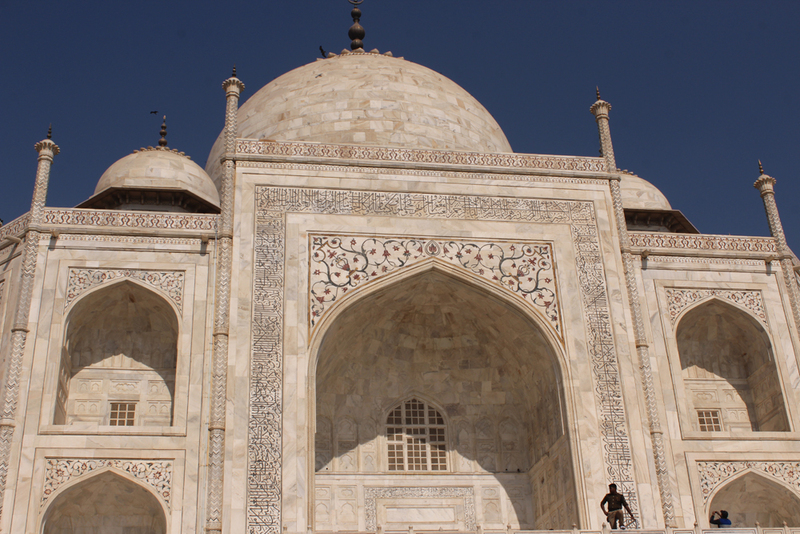 The central focus in the entire complex of the Taj Mahal is the Tomb. 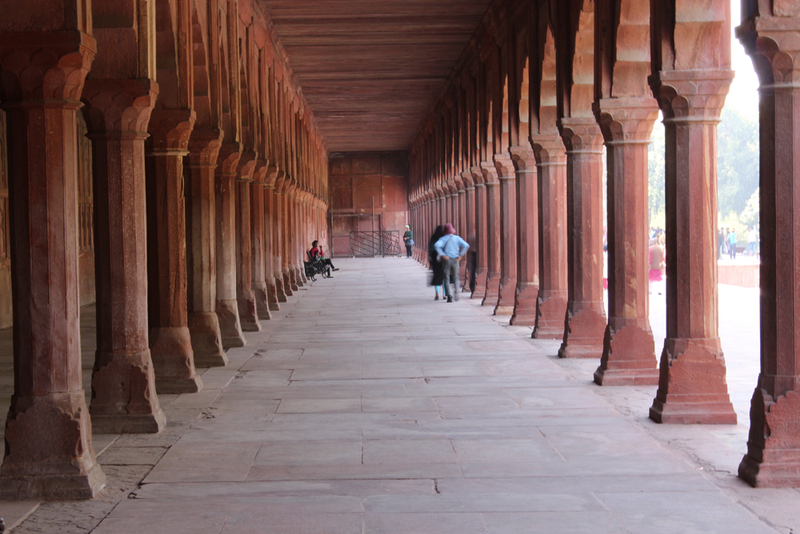 Four minarets frame the tomb, one at each corner of the plinth facing the corners. 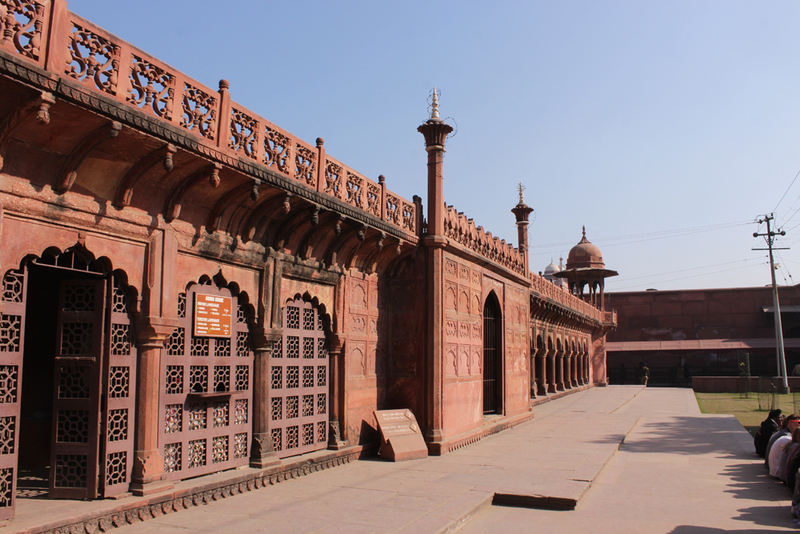 The main chamber houses the false graves of Mumtaz Mahal and Shah Jahan but the actual graves are a lower level. The main dome is huge with a height of nearly 35 meters and is surrounded my four smaller domes placed at its corners. 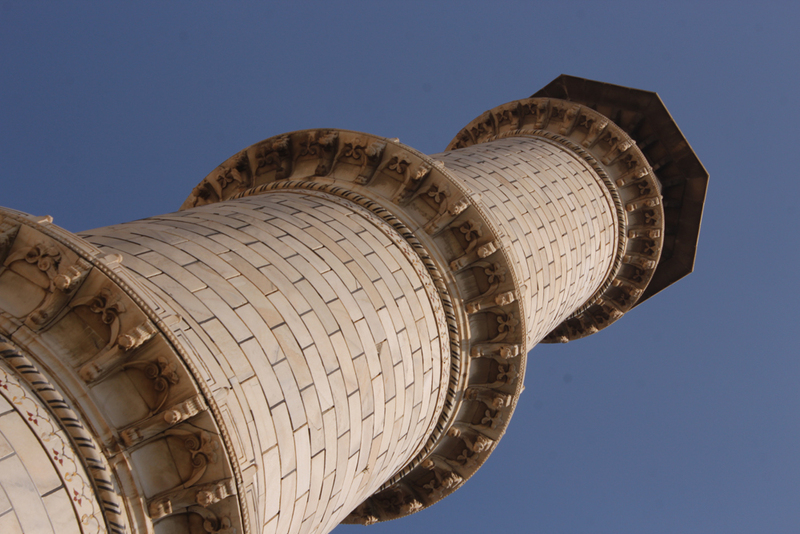 There are four minarets at the corners which are actually working. The exterior and interior decoration are the finest. With precious stones carved on the walls at the entrance to the lines from Quran engraved everywhere, the sight creates a visual poem by itself. There is calligraphy o Persian poems at the entrance doors that are engraved with precious gems. 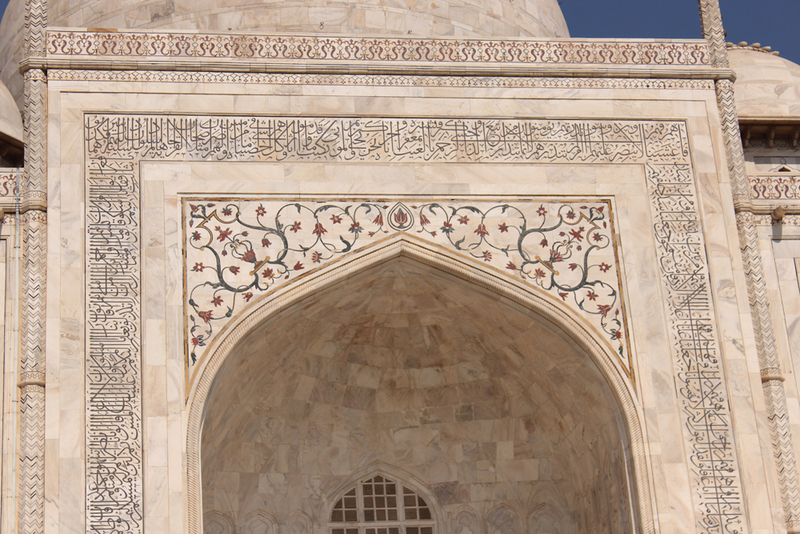 There are lotus motifs engraved on the main dome and the entrance. Flowers are carved in marble both inside and outside of the tomb. In daylight the building appears sparkling white with reflection and causes awe to every beholder. 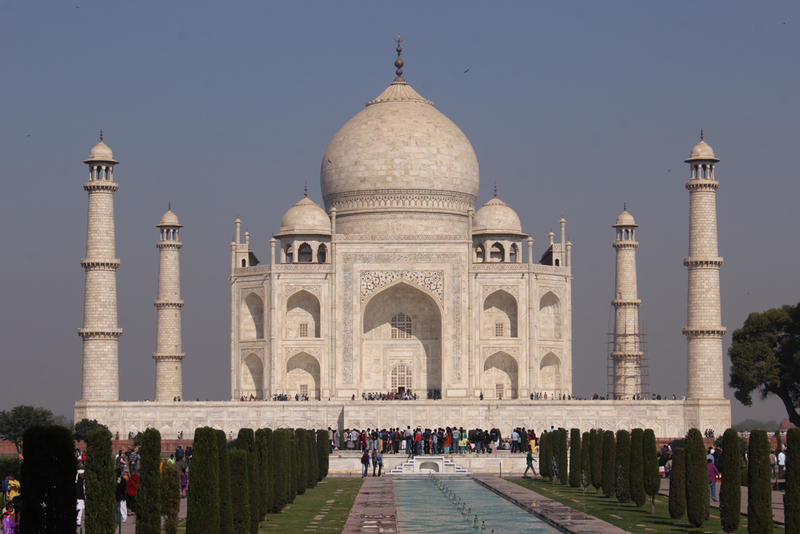 This is a gem in the history of India and one of the Seven Wonders of the World.